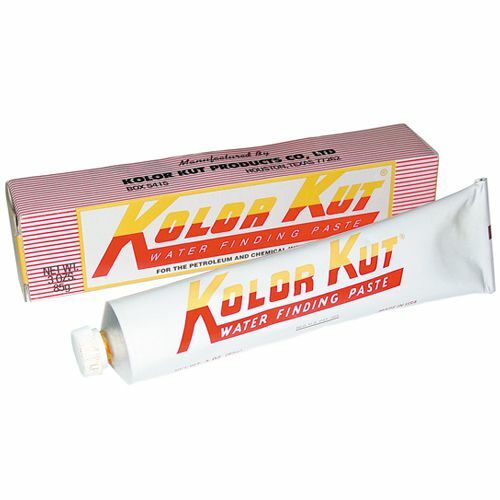 The Kolor Kut Water Finding Paste is a helpful tool used to check for water in your fuel tank. Apply it to a clean rod or string and lower it to the bottom of your tank. If water is detected the brown paste will turn red. The colour change on your rod or string will also indicate the depth of water in the tank. We recommend you use one of our fuel tank filters to remove any water detected by the Kolor Kut water finding paste.